Type L and Type M copper tubing are commonly used in water supply and pressure applications, and our plugs can be used to protect this tubing from contaminants during production, storage, and shipping. 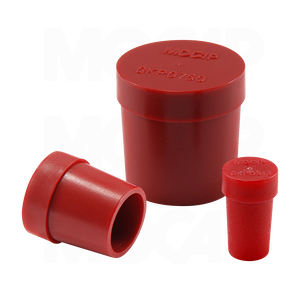 Our GKP Series Plugs are molded in Red polyethylene plastic and sized to fit Type L & M Tubing from 3/16 thru 3/4. MOCAP stocks General Purpose Plugs for Type L and M Tubing in many sizes for immediate shipment.